Growing up, I always wished that I had an identical twin sister. I blame The Parent Trap movie for that wish. Having someone who looked exactly like me who would be there to trick our friends and family into thinking they were the other person sounded like so much fun. I met a set of identical twins in middle school, realized just how confusing that would actually be, abandoned that desire, and stuck with my normal, not identical, siblings. A lot easier that way. 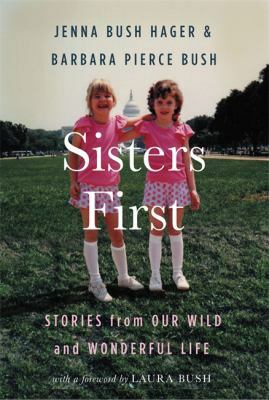 I had forgotten about my twin sister desire until I picked up The Identicals by Elin Hilderbrand and got a glimpse into what it is like to have an identical twin as an adult. 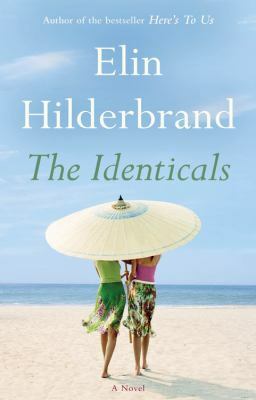 The Identicals by Elin Hilderbrand tells the complicated stories of Tabitha and Harper Frost. One twin lives on Nantucket, while the other lives on Martha’s Vineyard: a distance of only two and a half hours away by ferry. Yet that two and a half hour separation is widened by years of disagreements, arguments, and resentment that continuously builds because the two never talk to each other. While the two may look exactly like each other, that doesn’t mean they are alike AT ALL. Their personalities, life decisions, and clothing choices only prove to illustrate this point. Harper and Tabitha have spent their entire lives trying to separate themselves from the other twin and from their other parent. You see, when Tabitha and Harper were young, their parents divorced and each parent took one of the twins to live with them year round with vacations thrown in so the other twin got to see the parent that they didn’t live with. This awkward situation left the twins with some major resentment towards each other and weird interactions with the other parent. 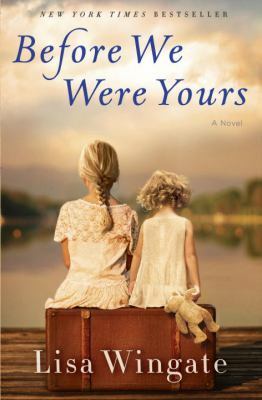 A major family crisis forces the two women together after many years apart. This forced reconciliation sounds like a recipe for disaster, but add in the twin’s mother and Tabitha’s teenage daughter and things are bound to get interesting. Each twin’s personal life keeps forcibly making itself known to the other twin which results in confusion amongst others as they try to figure out which is which. 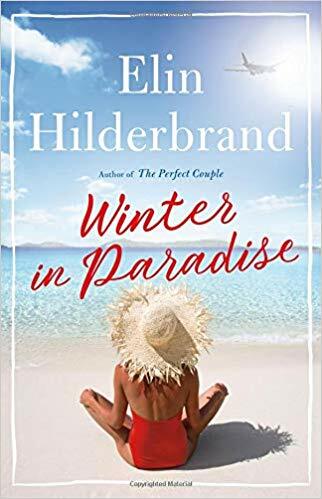 Tabitha and Harper may not want to have to band together through this family crisis, but they sure know how to appear like they like each other. These false appearances can only last so long though and the twins are soon forced to turn to each other for real. 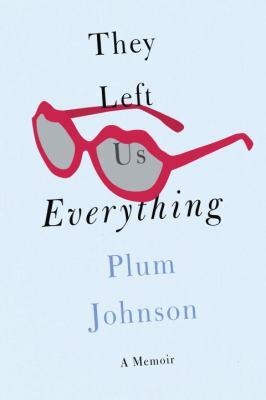 They Left Us Everything, Plum Johnson’s account of her parent’s illnesses and deaths, is refreshing in its candor and will resonate with anyone who has gone through something similar. She’s candid, too, about her family. Plum grew up in Singapore, Virginia, and finally Canada – which was a compromise for her British father and American mother. Her parents spent the ends of their lives in the family home on Lake Ontario. Her mother was from Virginia – her ancestors and cousins were attorney generals and ambassadors. While her mother was exuberant, eccentric, and a writer of letters and a copywriter in her youth, her father was British, reserved, and quite eccentric, as well. Their relationship endured but was volatile and complicated. Plum and her three brothers all have skills, roles and competencies related to caregiving. 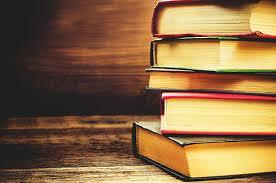 Some are hands-on and some help at a distance with financial, legal and real estate matters. Sibling Suppers are mostly supportive and cooperative, but, as she is the oldest, divorced, single, and the daughter, Plum is most directly involved in her parents’ care and the settling of the estate. 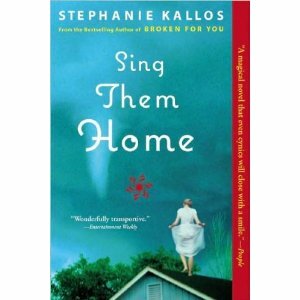 The Iowa Library Association has announced the All Iowa Reads title for 2011 – it’s Sing Them Home by Stephanie Kallos. Be sure to watch the Davenport Public Library newsletter for the announcement of programs and discussions of this book throughout the year. In 1978, Hope Jones, mother of three, is swept away during a tornado. Her body is never found. Twenty-five years later her children – Larkin, Gaelan and Bonnie – still struggle to understand their loss and to find their place in the world. The sudden death of their father brings them all home again, forcing them to come to terms with their history and each other. Set on the open plains of southwest Nebraska, the writing and atmosphere evoke the rural Midwest effortlessly – open skies, violent weather, the restrictions and freedoms of small towns. This is a complex story of grief, love and healing with touches of magical realism and characters that you come to care about. They’re Your Parents, Too! 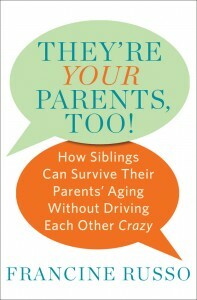 by Francine Russo is all too relevant for many baby boomers coping with their aging parents and siblings. Russo notes that this is the first generation that has had to so frequently manage their parents’ long term illnesses -which may last for decades. This places a strain on sibling relationships that may already be fraught with unresolved rivalries. Dysfunctional sibling/parent relationships can be unaddressed for many years only to erupt when everyone is forced to deal with emotional and critical issues. Some families are able to navigate this very painful terrain, respecting those that have been the primary caregiver(s); many would benefit from a third party such as a social worker or doctor, according to Russo, who has interviewed many, many families. She advises lots of honest communication and attempting to understand the points-of-view of others. It’s never an easy journey, but it can be made bearable if siblings support each other.